Asher was born in Indiana and raised in Chicago, so he thought he understood the concept of “flat” before he landed in Ashgabat in 2007. He did not. Time as an exchange student at Bogazici University made him fall in love with the Turkic world; a love that not even law school could shutter. Asher focuses his research on land use and disuse in West and Central Asia. If that sounds broad, you should hear about his other interests. There are mountains and there are roads. From an airplane, Eastern Anatolia looks like Frankenstein’s monster as the craggy mountains of the Zargos, Tarsus, and Caucasus ranges collide with geologic logic, sutured together by some of the finest roadways in the world. The modern republics facing this jagged jumble are as powerful as that monster, but perhaps also as hollow. Made up of their carefully-selected favorite parts of the stories of the land, the foundation myths of the modern states lack the warmth and humanity that otherwise characterize the region. 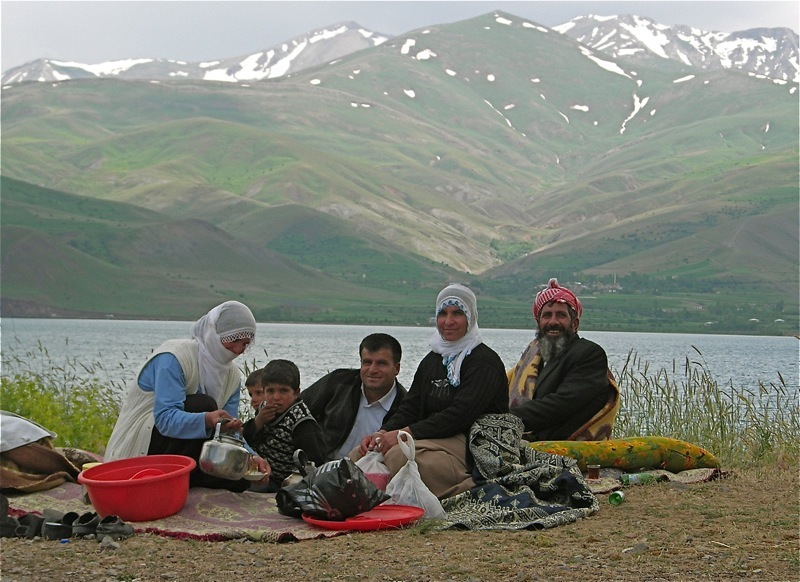 Family picnicking on Lake Van in 2005. Picture by Jelle Verheij. The mountains come first. Fernand Braudel’s famous statement that helped make his mark as an historian of the premodern Mediterranean holds true in the Anatolian steppe. Geography shapes history and the way communities connect to their histories. In Anatolia, the mountains — as well as the royalty, bandits, and bards endemic to them — have been mitigated by asphalt roads and what they carry. Eastern Anatolia was not always sulfur-colored rollicking hills, and the concrete and asphalt of progress. It used to hold green gardens and sprawling villages. Much has changed, however, since whenever mythic golden age whichever biased politician wants to point to. The more virulent streams of Turkish nationalism see Anatolia as Anadolu, the land seized by Seljuqs and the people’s historical destiny. Kurdish strains of the same school of thought demand the birthright deserved for the progeny of Saladin, a birthright blocked by Safavid and Ottoman intrigues and armies, and now by illegitimate nation-states. The dream of “Greater Armenia” revolves around Medieval Empires and the churches they constructed. While all of these claims of suzerain have historicity, they also assert dominance of a historical record fraught with delicate power relationships of multilingual leaders who sometimes switched religious confessions as easily as putting on a new jacket. Or in short, the story of the land is much more confusing than any individual narrative hoping to describe it. 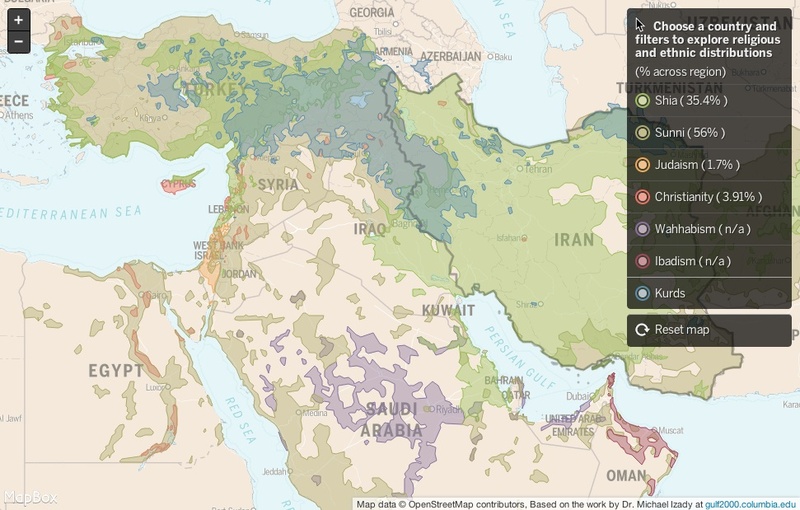 “Eastern Anatolia [map]” is the geographic designation in common usage today, but “Western Armenia [map]” or “Northern Kurdistan [map]” describe more or less the same space. Individuals and communities have come and gone (some more violently than others), political movements have risen and stumbled, and even the land itself has been changed by men and gods alike. Every city is a palimpsest, every step is archival research, if one was so inclined to see it that way. A geographic approach allows for a deep and complicating reading of place, and one that foregrounds a history of the natural environment. This article will use two maps to demonstrate how the face of eastern Anatolia changed in the 20th century. The first will show the city of Van, using archival photographs and those of the author to show how the city was dramatically changed by selective pressure from the state government. The second map will be a regional overview to show how border changes and political violence were able to modify the apparent layout of the region without even beginning to scratch below the surface. It occurred to me that in order to have ambitious plans for a society … the state had to create a certain kind of society that could then be manipulated. It had to create citizens with identities. It had to create citizens with names that could be recorded, with matching addresses, put down in cadastral surveys. The governmental records, in other words, are only a record of what the government wants to see. It is therefore a record with considerable holes (as intoned philosophically by the French sociologist Baudrillard and lyrically by the Argentine writer, Jorge Luis Borges). The most common maps, political and physical, show cities, roads, and their relationship to each other. More in-depth maps, such as those supplied by the Turkish General Command of Mapping, are more clear in their desired implementation to get military units of various sizes in various places as quickly as possible. This is hardly unique to Turkey, and a list of mapping agencies make explicit or implicit their reference to a military heritage. All the same, this is why some of the maps in our Anatolian case are restricted to government use only, and why they are created by the military in the first place. The maps below in this story make no attempt to claim suzerainty as the definitive map or as a map of imbalanced might. The Ajam maps instead try to poke holes in the privileged record of these government mapping agencies rather than paper over them, all the while being a bit more sensitive and well-read than the infamous Financial Times “Battle Lines of the Middle East” display. Most maps are made for understanding, but for a specific type of understanding, such as political control, suzerainty of expertise, or an economic advantage. 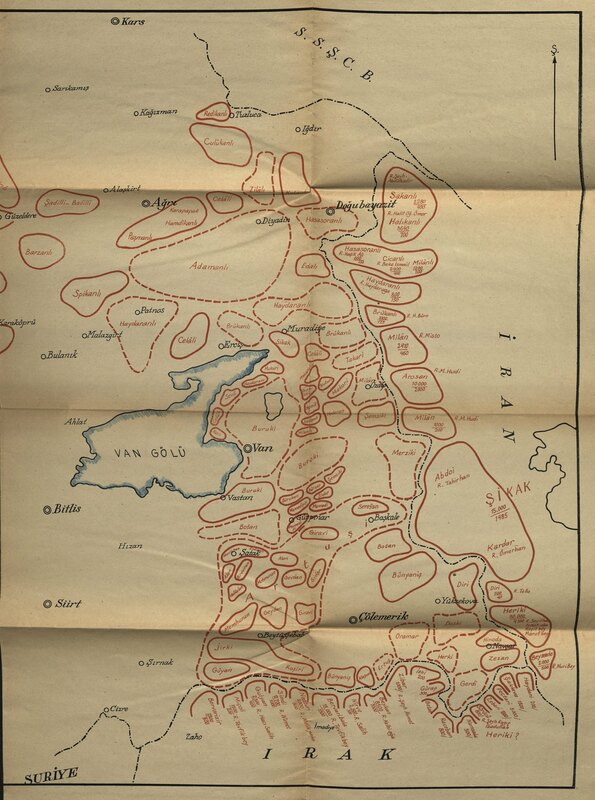 The maps below are not made for understanding, but for complicating; for making the region at focus seen as a kaleidoscope of relationships between people and the land. Lying on the shores of Lake Van and 300 km (mostly through steep valleys) west of Tabriz, Van has clear geographic importance on the seam between the Anatolian steppe and the mountains ranges east of it. The city is is built in an incredibly logical way, but this logic can only be understood by looking down from above on its (very concrete) center. The city isn’t built around the gorgeous lake or the legendary castle, but instead lies a few kilometers away. The old city of Van, now solely stone hedges and sheep pasture, was built at shores of the lake and the base of the castle. This city lasted well into the 20th century, but a new city was largely reconstructed after a 1941 earthquake in an international, modernist, style at the newly-constructed crossroads of Cumhuriyet (“Republic”) Road and Kazim Karabekir (late-Ottoman and early-Republic war hero) Boulevard. Marshall Plan funds came in from the United States, whose 1947 Truman Doctrine promised to support Turkey (and Greece) from Soviet aggression. Ironically, as James C. Scott notes, the American blueprint for a modern city was quite similar to the Soviet one. Concrete blocks, wide avenues, and a grid street plan create a 20th-century grid pattern designed to be modern and universal. A teahouse’s patrons drinking in the ruins where the teahouse used to stand. Photograph by author. The international style was explicitly anti-local, to the point of forcing city-bound workers off the land and into apartments. The speaking of Kurdish — the mother language of a majority of Van residents — was outlawed and indeed there was no Kurdish-language signage in Van until 2011. 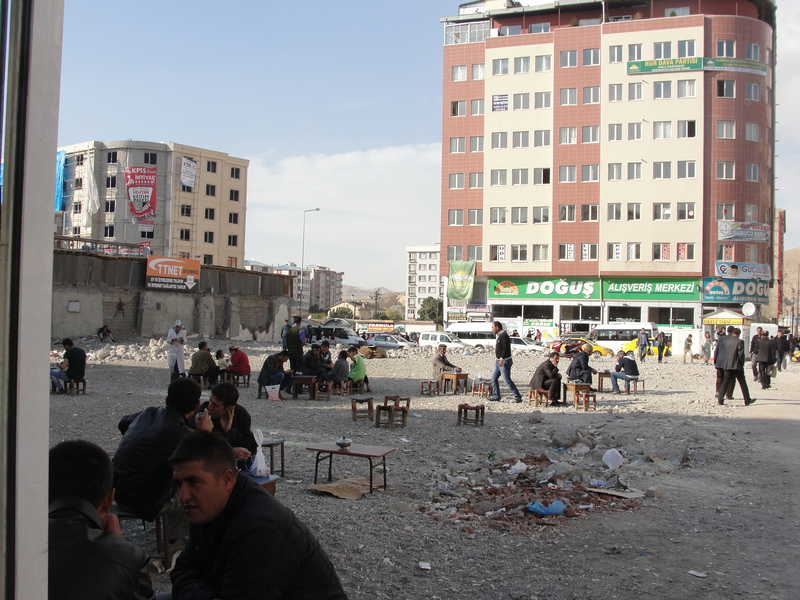 Several buildings constructed on the cheap collapsed in a 2011 earthquake, and slow reconstruction has destroyed the modernist dream, turning the downtown cafes into primitive rubble lots and apartments into tent cities. Nature took back the city from planners who hardly ever stepped foot into the province. That all said, Van as a society has made the city its own, and it is far from unpleasant. An easy way to cause a scene is to ask loudly where to go for a famous Van breakfast, and the food and the music of the town is inescapable. One just realizes that the pleasantness of the city is despite, and not because of modernity. All the efforts towards concrete internationalizing are at least somewhat in vain, as Van, the child of the mountains, is irrepressible. The greetings of birayê [friend], the CDs on sale, the deeply stomachy smell of otlu peynir, and now, of course, the official signage throughout the city make the Kurdishness of the city unmistakable. Such bright and forthright expressions of identity are relatively new, however, and Van was a city under siege a generation ago. Violence began in the 1970s and led to extraordinary bloodshed based on political, linguistic, and confessional lines. As a civil war, the Kurdish/Turkish conflict was about the borders and laws of the contemporary Turkish state. However, a fight over such abstract constructs naturally caused very real scarring on the ground. Driving out of Van in any direction, pillboxes and checkpoints painted in mustardy 1980s camouflage are more common than gas stations. The civil war fought over the Turkishness of the state and the Kurdishness of the region led to massive construction in Van. The city itself is marked by government buildings, teachers’ lodges, and military barracks more than anything else in the concrete center. The government, more so than the policies they pushed 30 years ago, is omnipresent. It is difficult to imagine the city under occupation and the mountains full of peshmerga on a sunny autumn 21st-century day, but the military and government installations are permanent scars and reminders of that time. Click on map away from legend to begin interactive experience. Yellow markers date before 1800, orange markers date between 1800-1930, purple markers date from 1930-present day. The violence dating back to the early 1900s, however, has healed like an amputation wound. Houshamdayan, a website created “to preserve the memory of Armenian life in the Ottoman Empire,” has an encyclopedic illustrated history of Armenian Van. The “old city” of Van is home to an imposing castle marked by an Achaemenid inscription. Very few other pre-Republic landmarks remain, as two separate sackings of the city by the Ottoman military, two decades apart in 1895 and 1915, have removed outward signs of a 19th-century culture of confessional and linguistic groups coexisting. In the 1890s, Sultan Abdul Hamid II’s twisted and desperate claim of Pan-Islamism led him to massacre the empire’s eastern Christian populations, including Armenians and Assyrians. A generation later, the remaining Armenian population of Ottoman Anatolia was destroyed in a genocide that made Van a ghost town. 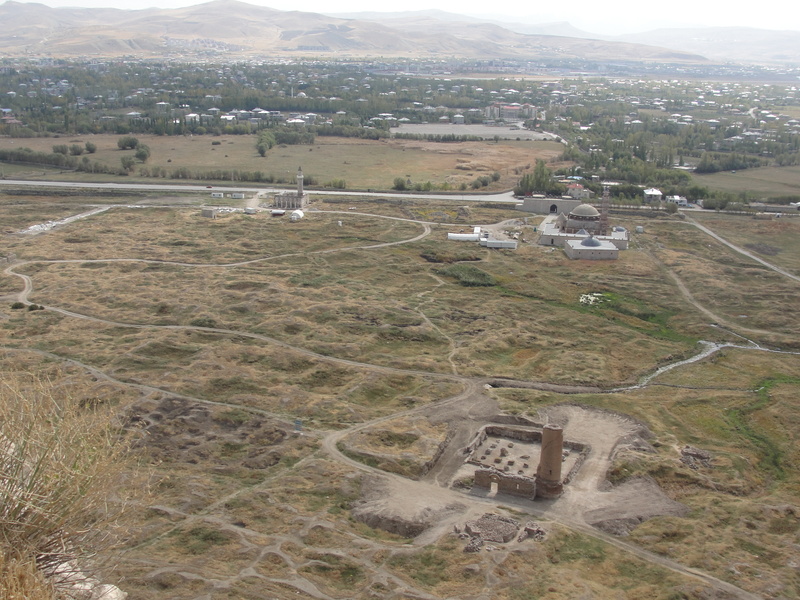 The entire old city had been more-or-less flattened well before the earthquakes.The Armenian-identifying part of this coexistence was flattened as well. Whatever word used to describe as best it can the unspeakable horrors of fin de siecle Van, the population plummeted, cathedrals fell into disrepair, and the castles protecting the city are just-this-side of decrepit. Driving through the mountains from a base in Van is no time machine. The bald hills and fenced-in sheep are new developments, as is the emptiness out the windows and the 80 km/h on the speedometer. As late as the 1950s, brigands and shepherds dotted the hills of Anatolia, an economy and livelihood captured by the novel Ince Memed [Memed, My Hawk] by Yaşar Kemal. This would change as land titling, political infrastructure, and military demands changed how the Republic dealt with its eastern Periphery in the second half of the 20th century. Pasture land shared by complex social understandings was sold to developers. Villages and townships were bulldozed. This was not coincidental to the ethnic violence in Van, but in concert with it to create a more modern state. Original book cover for Yaşar Kemal’s İnce Memed. The roads are the real technological wonders of the region. Black topped and wide enough for a tank (of which a few were seen), they impassively amble towards destinations well-known. These roads brought in the militaries, teachers, and however-defined progress that led to the exit of everything else. Menderes’ Democratic Party in particular opened the country to international development in the 1950s, leading to “mechanization of agriculture, the road construction and the investment policy of DP [which] had a great impact upon all the layers of society and brought all the individuals and social groups face to face with both the problems and blessings of modern life.” according to Prof. Cihat Göktepe. Connecting as they do with Ankara, Tabriz, Gaziantep, Tblisi, and perhaps one day Yerevan using paths of least resistance, the roads connect cities to goods to customers to farms. They connect people to things, finding these communities’ connections to the land irrelevant. The goal of the roads is to connect people to the capitals of economy and to give the state access to the cities and towns. The blacktop is a state creation, hardly an organic glue through which communities stick together. Things are no better in 2013, when a laggardly state response combined with an abnormally frigid winter has led to whole families left largely-abandoned in tent communities, uploading pictures in internet cafes under the hashtags “#VANüşüyor” [Van freezes] and “#VandaDepremSürüyor” [abandoned to the Van Earthquake] and begging each other not to be silent. Even with these earthquakes, the geography has not changed as often as the borders. 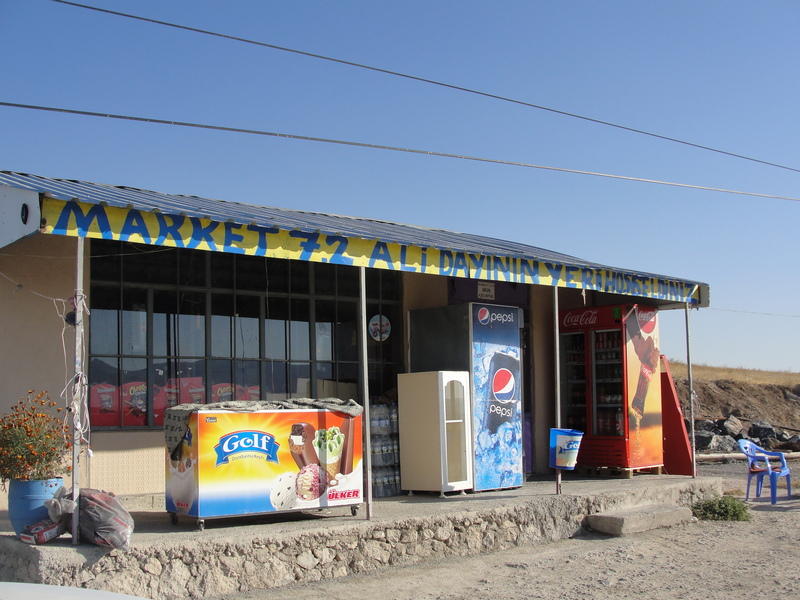 In the valleys, the radio stations are in Kurdish or Turkish. On the hilltops, the car might play music in Armenian, Russian, or Persian depending on which hilltop is in which tower’s range. Drive far enough north and one can reach the Turkish/Georgian/Armenian trisecting border, where, as Maxim Edwards once noted, one can travel visa-free if walking clockwise but be arrested if not shot at walking counter-clockwise. Click on map away from legend to begin interactive experience. The land and its communities cannot be ignored. This is the land, after all, that inspired Said Nursi to write, Arshile Gorky to paint, and Ruhi Su to sing. It’s the land that was defended by thousands of soldiers fighting each other barefoot in the mountains. If the roads ever crumble and the border patrols, bristling as they do with arms, go back home, the mountains and songs will likely remain. It is these songs, these memories and mountains, that we hope to illustrate in the above maps. The experiential understanding of the land cannot be captured by the most exact census and cannot be driven to on the finest road. A land and its people can, presumably, be best understood by living there, but Ajam is not a travel agency but a media collective, so we have to make do with the tools we have. By using mapping to fix historical memory and present stories to place, we may be better able to give individuals and communities the opportunity to tell their own stories of their attachments rather than rely on accounts and insinuations from on high. The government of Sultan Abdul Hamid II substituted the name Armenia with such terms as Kurdistan or Anatolia, fallaciously. Starting from 1880 the name Armenia was forbidden to be used in official documents. The Sublime Porte thus wanted to make everyone believe that the Armenian Question did not exist: if there was no Armenia, then there was no Armenian Question. The process of “nationalization” of toponyms was continued by the Kemalists, who were the ideological successors of the Young Turks. It gained momentum during the Republican period. Starting from 1923 the entire territory of Western Armenia was officially renamed “Eastern Anatolia”. The following highlights one such example. In his “Jihan Numa” Kyatib Celebi, a famous Ottoman chronicler of the 17th century, had a special chapter, titled “About the Country Called Armenia”. When, however, this book was republished in 1957 its modern Turkish editor H. Selen changed this title into “Eastern Anatolia”. The fact, however, is that Armenia together with its boundaries was unequivocally mentioned in the works of Ottoman historians and chroniclers. An excerpt from the said chapter of Kyatib Celebi’s Jihan Numa illustrates clearly the falsifications of modern Turkish historians. in the 17th century when the Armenian Question was not as yet included into the agenda of international diplomacy, the terms Anatolia or Eastern Anatolia were never used to indicate Armenia. Furthermore, the “Islamic World Map” of the 16th century and other Ottoman maps of the 18th and 19th centuries have clearly indicated Armenia (Ermenistan) on a specific territory as well as its cities. It is more than obvious that the Ottoman historians and chroniclers in contrast to the modern Turkish ones, knew very well Armenia’s location and did not “confuse” it with Anatolia. The word Anatolia means “sunrise” or “east” in Greek. This name was given to the Asia Minor peninsula approximately in the 5th or 4th centuries B.C. During the Ottoman era the term Anadolou included the north-eastern vilayets of Asia Minor with Kyotahia as its center. The numerous European, Ottoman, Armenian, Russian, Persian, Arabic and other primary sources did not confuse the term Armenia with Anatolia. This testifies, inter alia, to the fact that even after the loss of its statehood the Armenian nation still constituted a majority in its homeland, which was recognized by Ottoman occupiers as well. Therefore, it is very sad to witness today certain Armenian historians of the Diaspora and even diplomats and analysts in Armenia, who have started to substitute the term “Western Armenia” with that of the ersatz “Eastern Anatolia”. These people have willingly and submissively undertaken the task of enacting Abdul Hamid’s decree of 1880. Incredibly, some Diasporan historians are even using the term “Anatolia” to indicate the entire Armenian Highland. Even if this ersatz term of Eastern Anatolia has somehow been put into circulation in Western scientific circles under the influence of systematic Turkish lobbying and falsifications and at times also due to the lack of knowledge, it is unacceptable for us, because the substitution of Western Armenia with the term “Eastern Anatolia” would mean voluntary renunciation of our homeland, rejection of our centuries-old historical and cultural heritage, denial of the Armenian Genocide, burial into oblivion of its consequences and, last but not least, rendering support to the Turkish negationist position towards the rights of the Armenian nation to Western Armenia. what are the Kurdish schools of thought you’re referring to here?